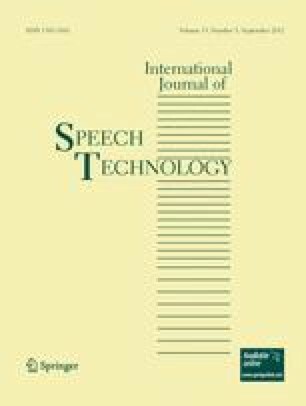 This paper describes a work aimed towards understanding the art of mimicking by professional mimicry artists while imitating the speech characteristics of known persons, and also explores the possibility of detecting a given speech as genuine or impostor. This includes a systematic approach of collecting three categories of speech data, namely original speech of the mimicry artists, speech while mimicking chosen celebrities and original speech of the chosen celebrities, to analyze the variations in prosodic features. A method is described for the automatic extraction of relevant prosodic features in order to model speaker characteristics. Speech is automatically segmented as intonation phrases using speech/nonspeech classification. Further segmentation is done using valleys in energy contour. Intonation, duration and energy features are extracted for each of these segments. Intonation curve is approximated using Legendre polynomials. Other useful prosodic features include average jitter, average shimmer, total duration, voiced duration and change in energy. These prosodic features extracted from original speech of celebrities and mimicry artists are used for creating speaker models. Support Vector Machine (SVM) is used for creating speaker models, and detection of a given speech as genuine or impostor is attempted using a speaker verification framework of SVM models. The authors would like to thank Kerala State Council for Science, Technology and Environment, India for giving financial support to carry out the study described in this paper. Heck, L. P. (2002). Integrating high-level information for robust speaker recognition in John Hopkins University workshop on SuperSID. Baltimore, Maryland. http://www.cslp.jhu.edu/ws2002/groups/supersid. NIST (2001). Speaker recognition evaluation website. http://www.nist.gov/speech/tests/spk/2001.